Most economists are aware of the deepening crisis in academic journal pricing, but not many are familiar with some of the most striking facts and figures in this field. Even some librarians are under the mis-apprehension that the "serials crisis" affects mainly the STM (Science, Technology, and Medical) sector and that social sciences are immune. Look at Table 1 to see that not only is the level of Elsevier抯 subscription rates is substantially higher (up to 10 times higher) than non-commercially produced high-quality journals, but that it has been increasing at a much higher rate (on average, approx. 16% per annum). Figures for a small sample of non-commercially produced journals are provided for comparison. The figures have to be seen to be believed. Did you know that the 1999 library subscriptions to the Amer. Econ. Rev. plus Jour. Econ. Lit. plus Journ. Econ. Persp. plus Economic Journal plus Econometrics Journal plus Economica plus Journ. of Ind. Econ. plus Rev. of Econ. Stud. add up to $1,043 and thus are less expensive than a single library subscription to Elsevier抯 Journal of Economic Behavior and Organization ($1,074)? University and Research librarians have been complaining about the effects of high-priced academic journals for a long time. For a small selection of related documents try here. IMPORTANT In spite of almost unanimous opposition from University and Research Libraries in the UK (and elsewhere), the UK Competition Commission in May 2001 allowed the merger between Reed Elsevier and Harcourt. (Bad news for economists: Harcourt owns Academic Press, publishers of hundreds of academic journals including The Cambridge Journal of Economics, Games and Economic Behavior, The Journal of Comparative Economics, The Journal of Economic Theory, The Journal of Environmental Economics and Management, The Journal of Housing Economics, The Journal of the Japanese and International Economies, The Journal of Urban Economics, Research in Economics, The Review of Economic Dynamics. For the text of submissions to the UK Competition Commission's report on the Reed Elsevier-Harcourt merger (including the submission by M. La Manna on behalf of ELSSS) : click here. For an article in The Scotsman (6th July 2001) about ELSSS' opposition to the merger : click here. For a background article in the Financial Times (2nd Nov. 2000) : click here. 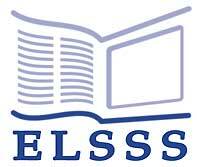 For an important announcement regarding ELSSS and the Journal of the European Economic Association, click here. Ted Bergstrom at the University of California Santa Barbara is boycotting high-priced journals by refusing to referee for them. Go here for details. Ted's webpage has lots of interesting links relevant to academic journal publishing. To see his article "Free Labor for Costly Journals" in The Journal of Economic Perspectives go here. Ted's article is very informative (and mentions ELSSS as one of the possible solutions to the crisis in journal publishing). For an unwittingly hilarious response from Elsevier to above article click here. For Ted's magistral Rejoinder to above click here. In 2002 the UK Office of Fair Trading initiated an enquiry into The Market for Scientific Journals. ELSSS and the Royal Economic Society jointly submitted a document highlighting the inefficiency of the market and making suggestions to remedy it: for the full text click here. The OFT's Report was hugely disappointing and inconsistent: after having identified the substantial inefficiencies in The Market for Scientific Journals, the OFT pointedly refused to take any correcting measures. For the full text of the Report, click here. An interesting case is provided by the saga of the editorial exodus. "In November 1999 the complete Editorial Board of the Journal of Logic Programming (JLP) of Elsevier Press (50 editors in total) collectively resigned after 16 months of unsuccessful negotiations with Elsevier Press about the price of library subscriptions. They founded a new journal, Theory and Practice of Logic Programming (TPLP) with the Cambridge University Press (CUP). The first issue of TPLP will appear in January 2001. For the current list of accepted papers please consult the home page of the TPLP. The price per page of the TPLP journal will be approximately 55% lower than that of the JLP. It will initially be published bi-monthly in both print and electronic form. The actual extent and subscription price of TPLP will be announced soon by the CUP in its own advertising campaign. The Founding Editor of the journal is Professor Emeritus Jack Minker of the University of Maryland. The Association for Logic Programming, acting in full cooperation with the former Editorial Board of the JLP, withdrew its support for the JLP and adopted TPLP as the sole official journal of the ALP. Moreover, several authors withdrew in the meantime their submissions to the JLP and resubmitted them to TPLP. At this moment only one paper handled by the former Area Editors of the JLP is still active for the JLP. The former Editors agreed to keep their names on the masthead of the JLP until the end of 2000, the moment when all the papers processed by them for the JLP will have been published. Elsevier Press decided to continue the JLP as of 2001 "with another editorial board". The Association, the former Editors, and the logic programming community, strongly believe that there is support for only one logic programming journal." Postscript: My own University Library has now cancelled its subscription to the Elsevier journal and has subscribed instead to the TPLP. UPDATE To see the effect that the provision of credible and effective competition can have on the fortunes of established high-priced journals, it is instructive to track the output of Elsevier's The Journal of Logic Programming before and after the entry by Theory and Practice of Logic Programming. In 1999 Elsevier's The Journal of Logic Programming published eight issues with an aggregate count of 38 articles and 1,244 pages. In 2001 (i.e. after the entry of TPLP), the same journal (under the new title of Journal of Logic and Algebraic Programming) published four issues, with an aggregate count of 9 articles for a grand total of 231 pages. The collossal collapse in submissions that underlies these figures can only be guessed. For an entertaining article on the experiences of Professor Michael Rosenzweig, a pioneer in "editorial revolt", who migrated from Kluwer's Evolutionary Ecology to the new and now successful Evolutionary Ecology Research: click here.